I’d like to offer a new feature of my blog. Basically, I’m going to seek out books I see around the internet and share them only based on one feature: their covers. I will then share my thoughts about why the particular cover art caught my eye and what my expectations of the book are. Each month I’ll pick three books to share. This is not only a way to feature cool books, but to get insight into what cover art really works (for this particular reader anyway). 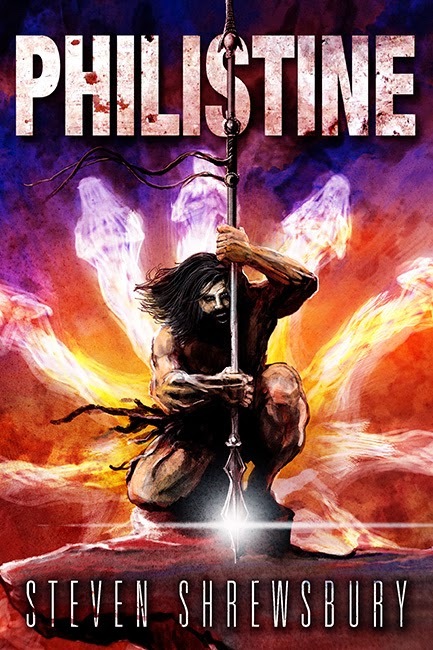 This cover stood out to me because not only does it feature Goliath with a giant spear, but there are some kind of phantasmal dragons flying off of him. I like the design of this book in so many ways. Steven Shrewsbury even noted on his blog that this is a novel he’s been wanting to write for a long time. It definitely looks cool if I’m judging the book by its cover. Words to describe the cover: intriguing, awesome, insane, badass. Expectations: A badass story that follows Goliath as he cracks skulls throughout a Biblical times. 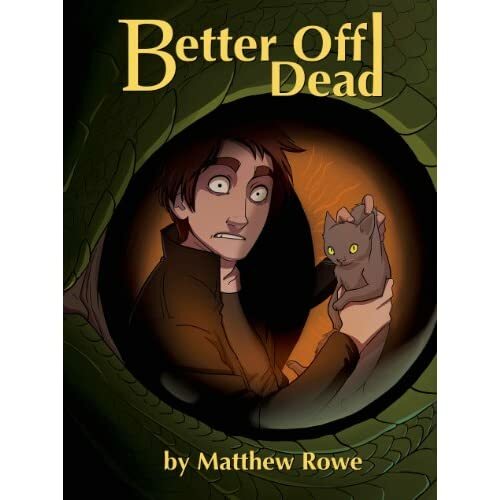 This cover has a cartoon feel to it that also shows the main character may get into a bit of trouble with a dragon or some other nasty creatures. The cat is there for added cute factor. If I had to guess, this book is a sort of comic fantasy with plenty of problems for the main character to wiggle his way out of. Words to describe the cover: cute, quirky, bad luck, cool. Expectations: A fun fantasy romp with plenty of mischief and adventure. Perhaps a very unlucky protagonist as well. Hybrid author Michael J. Sullivan is probably best known for his Riyria Chronicles, originally self-published but re-released by Orbit. Hollow World appears to leave the epic fantasy realm for altogether different fantastical story. The boy on the cover shows a sadness, while if you can see the entire bit of artwork, there is a massive domed structure that looks really cool. 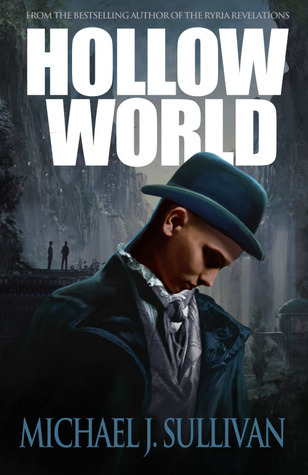 For someone looking for something different, I’d wager that Hollow World may offer some surprises. Words to describe the cover: mysterious, haunting, beautiful. Expectations: Hard to tell from only the cover, but I’d expect this story to involve a loss of innocence or discovery of something unknown. So that’s all for this month’s Judging Books by Their Covers. Come back in March when I’ll be featuring other cool artwork in addition to my thoughts about them.